Located at 208 S Pine St., Burlington, WI 53105, our restaurant offers a wide array of authentic Chinese, Japanese & Thai Food, such as Kung Pao Chicken, Beef with Broccoli, Salt & Pepper Jumbo Shrimp, Vegetable Fried Rice, Sweet Potato Roll, Shrimp Tempura, Chicken Katsu, Yaki Ddon, Pad Thai, & etc. Try our delicious food and service today. 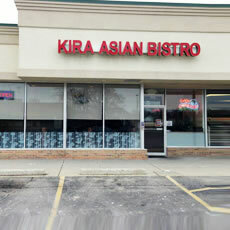 Come in for an Asian Lunch Special or during evenings for a delicious Asian style dinner.